The international avant-garde presented itself in Kalkutta 1922 at the „Society of Oriental Art“ with an exhibition in which also a lot of artist from Bauhaus took part. "Bauhaus in Kalkutta" refers to this exhibition, aiming to show relations and context of the transnational cooperation of modern artists in the beginning of the twentieth century. This exhibition from 1922 is a special laboratory oft he transcultural avant-garde, which has been neglected and so far little observed until now. 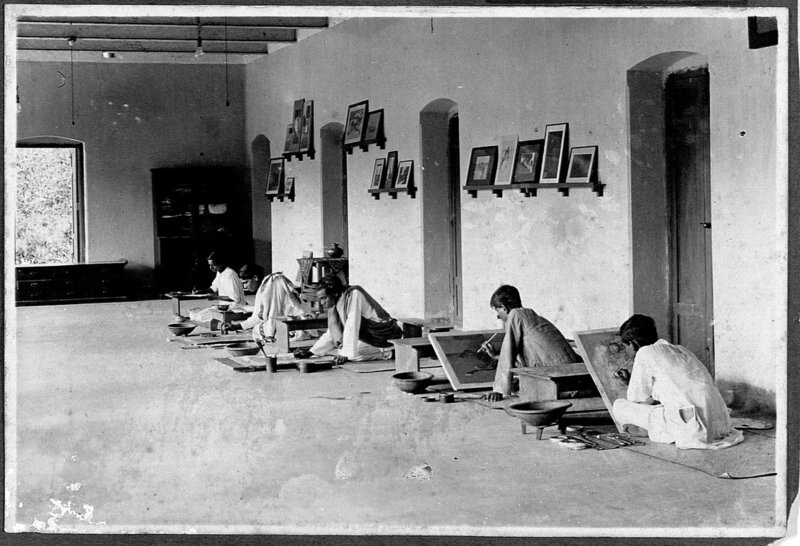 Here, european artists who were looking for intellectual alternatives regarding the crisis of the industrial rationality after WWI encountered indian artists, who were striving for liberation from the colonialisation of the british empire. Both were united by the mutual artistic languages like cubism, primitivism and abstraction. In this universal language of modernism, indian artists found a new way of expressing anti-colonial resistance. Thus, starting from Kalkutta, this special exhibition of the international avant-garde opens a new and different view on the classic modernism in europe. The historic show is reconstructed in a exemplaric way and displays pieces by Paul Klee, Wassily Kandinsky, Lyonel Feininger and Johannes Itten as well as works of the indian avant-garde such as Uma Prosad Mookerjee, Shanta Devi and Gagenendranath Tagore – thus, not just the artistic works, but also political and international conditions of this event become visible. Based on documents, photographies, films and publications, the political context of the exhibition's origin in the Kalkutta of the late colonial times, in which progressive art schools played a crucial role, is carved out. At the same time, the show is documenting the Kalkutta's exhibtions precondition: the transnationl network of these global communities, which was compound of international magazines, travelling routes, art market, galleries and conferences. "Reconstruction" therefore also means a re-visit of these events as a laboratory of the transcultural avant-garde. SUPPORTED BY Kulturstiftung des Bundes, Lotto Toto Sachsen-Anhalt, Ernst von Siemens Art Foundation and Institute for Foreign Cultural Relations.